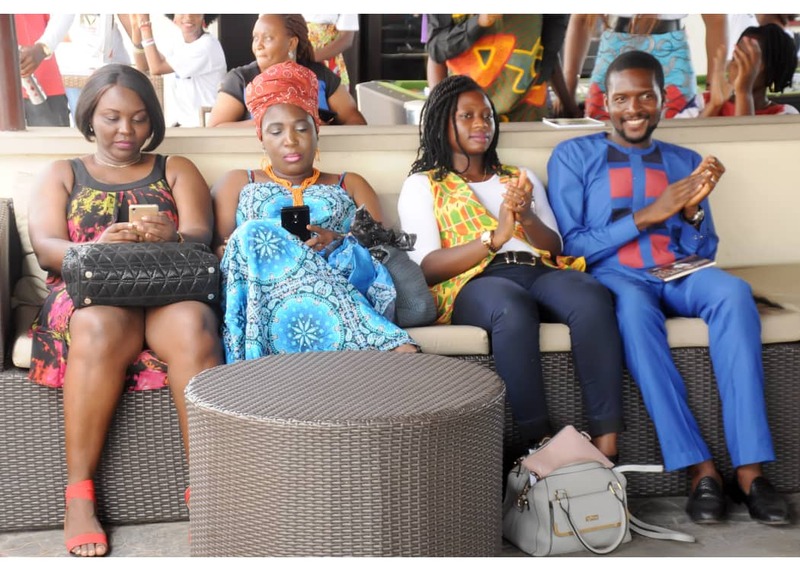 The inauguration/flag-off ceremony of Poetourism, an initiative of Poets in Nigeria kicked off at 1:00 PM on Sunday, 31st March, 2019 at the rooftop of the Epe Resort and Spa with an open-mic session which saw guests delivering lines and rhymes to the glee of those seated. The session was moderated by Funke Awodiya, author of The Farmer’s Daughter. It glided into the program proper with the official compere of the ceremony, the delectable Jite Atirene (a.k.a. Najite), introducing the Special Guests, amongst whom was the Oloja of Epe Land, His Majesty, Oba Kamorudeen Ishola Animashaun, ably represented by the Odifin of Epe Land, High Chief Tunde Oluwo. The chairman of the occasion, Hon. Wasiu Odeyemi was accompanied by an illustrious son of Epe Land with whom he had come about an hour prior to the commencement of the event. Prof. Francis Egbokhare, the president, Nigeria Academy of Letters, Mr. & Mrs. Eze – Co-directors of Jordan Hill Creative Writing Workshop, Mazi F.O.C. 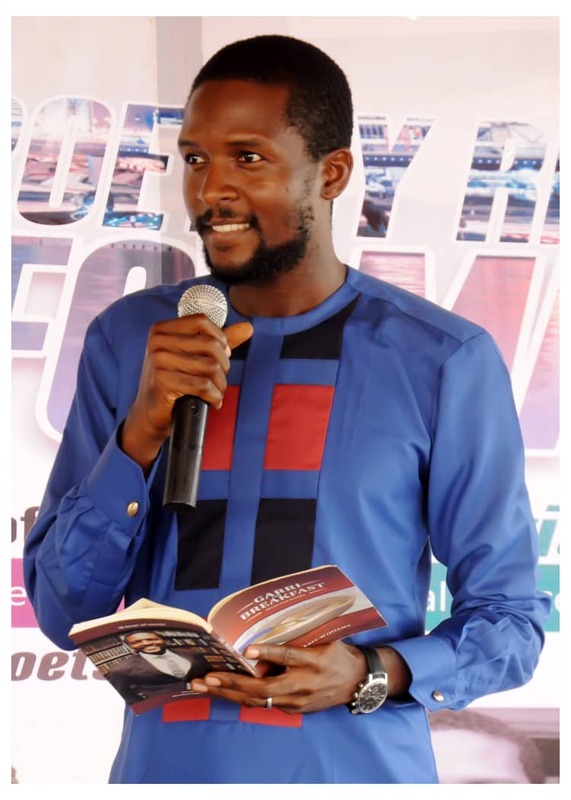 Ikwuemesibe – author of The Big Man and Other Poems, Pst. 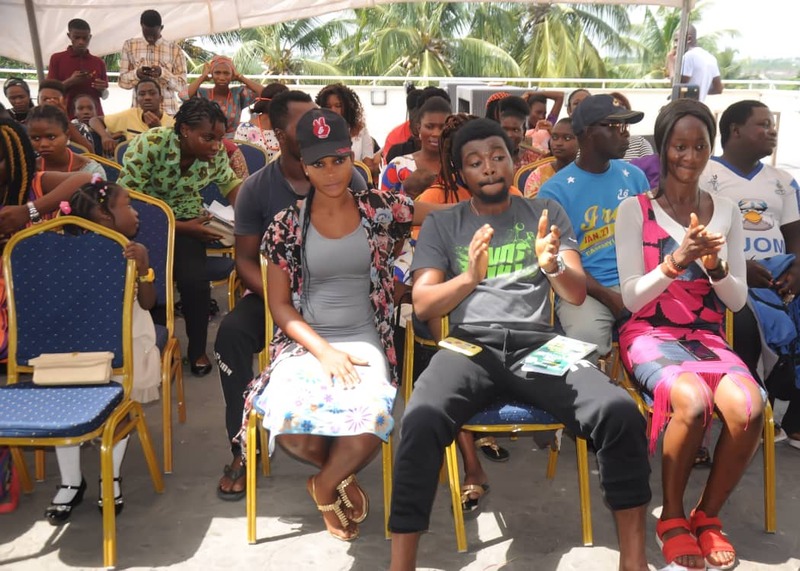 Nosa Iyamu – author of A Symphony of Love, Mrs Omotesho – HOD of Leisure and Tourism, Yaba College of Technology, alongside staff members, Sophia Jerome – a historian, blogger and chef were all present. 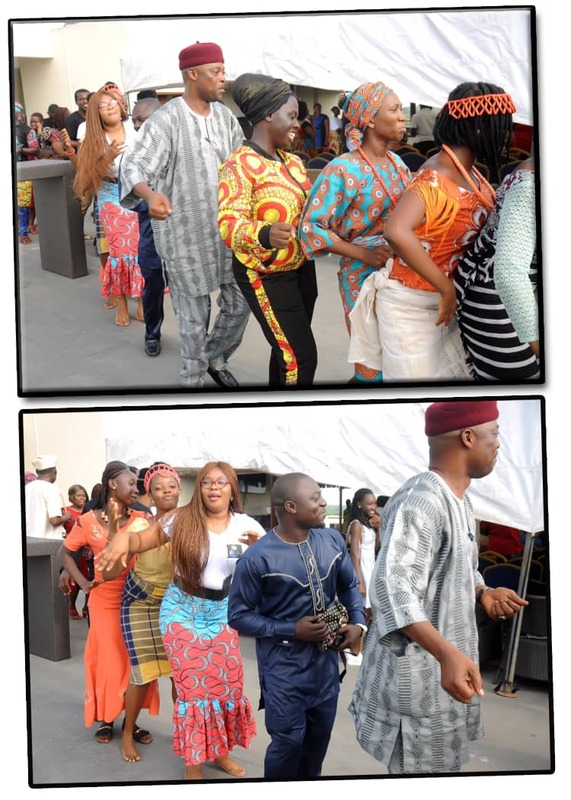 The Imole-Ayo dance troupe bade the guests a big welcome to Epe Land in a colorfully energetic dance performance. It was followed by the rendition of the national anthem. The flag-off ceremony was presided over by the chairman of the occasion, Hon. Wasiu Odeyemi who applauded the initiative while pledging his continual support. 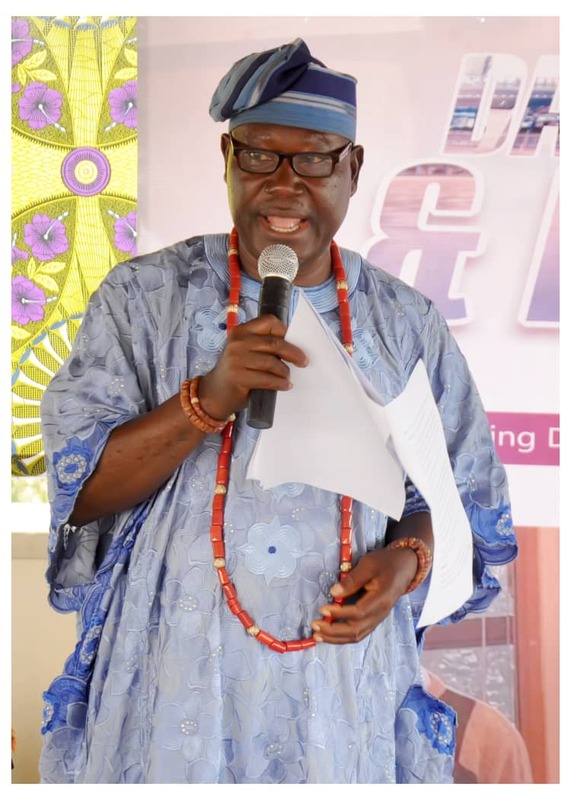 It was proceeded by the history of Epe Land, read by the representative of the Oloja of Epe Land in person of the Odifin of Epe Land, High Chief Tunde Oluwo. 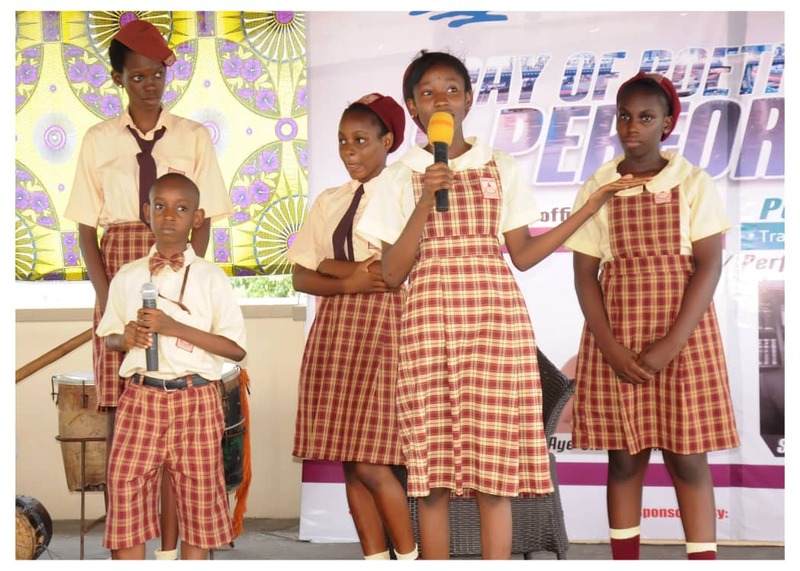 That was followed with poetry readings/performances from young performers like the 5-year-old Akachi Ogu of Sharon Vineyard Schools, Epe and the 7-year-old Osariemen Omosigho pupil of Cedar Oak School, Lekki an award winner of the Jordan Hill Poetry Slam 2019. 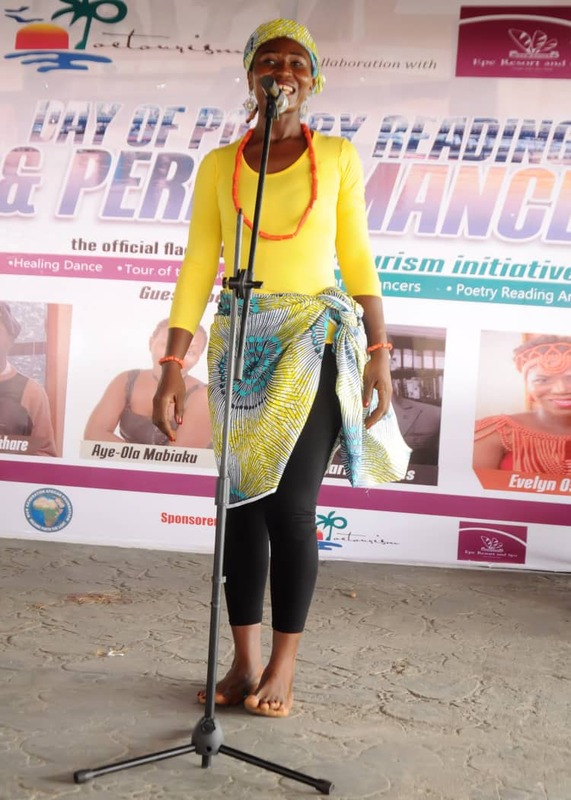 The students of Scholars International College left us teary-eyed with their patriotically charged harmonic poetry rendition while the OND students of Yaba College of Technology served us an educative dance drama highlighting the importance of leisure to life and living. The bar was raised with performances from guest-performers of the day, starting with the sensational award-winning Performance Poet, Aye-Ola Mabiaku, who left guests on the edge of their seats with thought-provoking poems like “I Do Not Choose to be A Man”, “I Chose Not To” and “When A Mad Man Dies”. 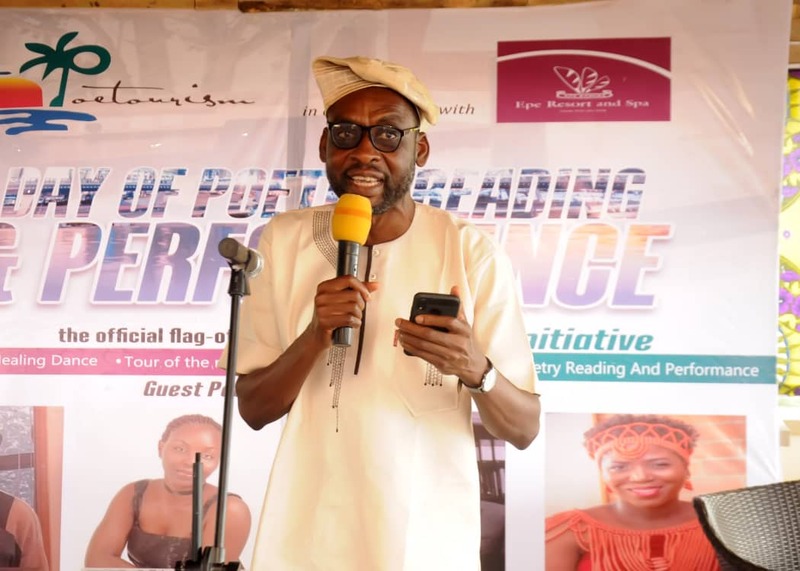 The lawyer and author of the NLNG Longlisted anthology – Garri For Breakfast, Seun Lari-Williams, left us gasping at the nostalgic power of imagery in his poems, “Amala, Yaba Market” and “Don’t Correct My English”. 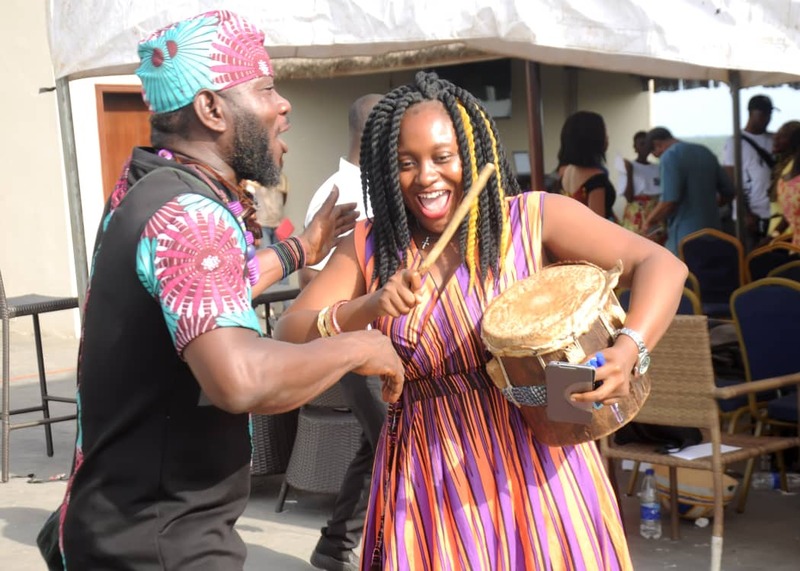 And then, the multi-talented award-winning Journalist, Photographer and Performance Poet, Evelyn Osagie led us through an ode for ‘Eko’ as Lagos is fondly called in Eko Dance accompanied with sequences from the guitar which saw guests swaying along. 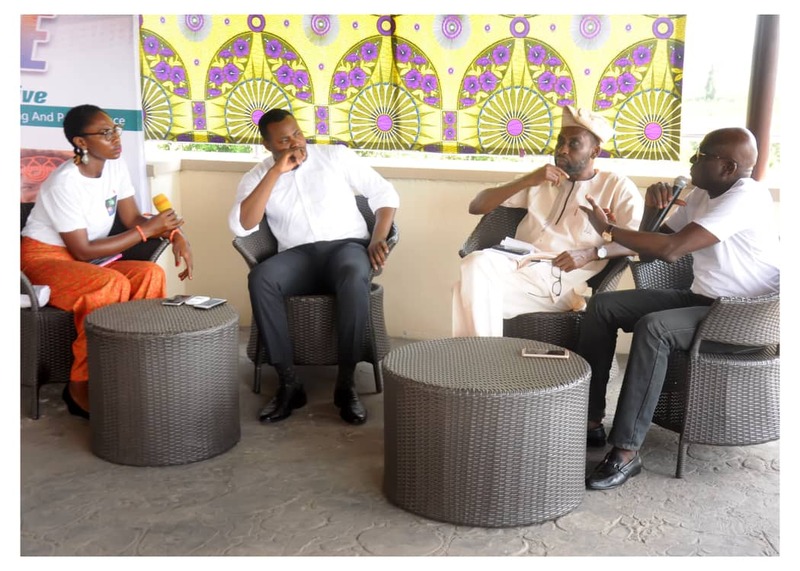 Another highlight of the event was the enlightening discussion session with Prof. Francis Egbokhare, Mr. Opeyemi of the Epe Resort and Spa alongside Mr. Eriata Oribhabor on the topic, The Effect of Tourism on our Creativity. 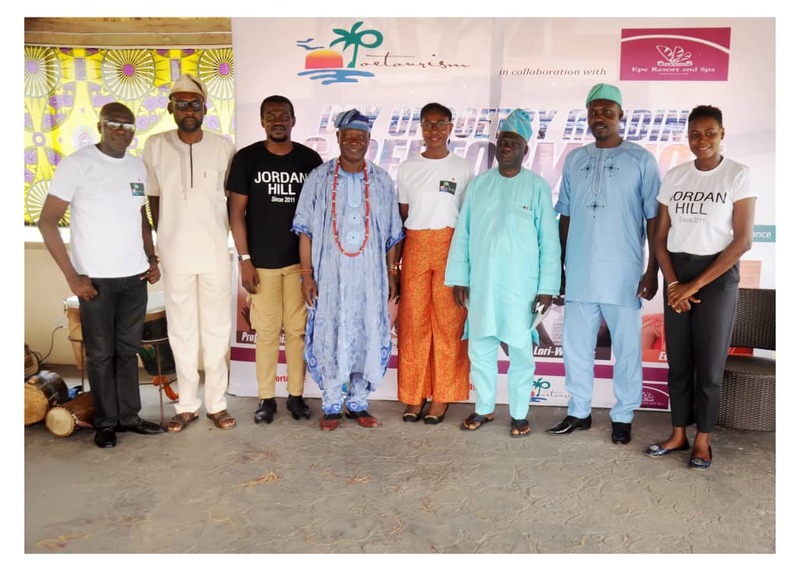 The session was anchored by the Moderator of Poetourism, Ezeigwe Chinyere from which the take home was the charge to indulge in tourism as much as possible while owning keen eyes to see, read meaning and write. More readings and performances ensued the above which was rounded off with the Healing Dance led by Ezeigwe Chinyere (a.k.a. Sherizz-King) which saw the well over a hundred guests on their feet, swirling to the sound of drums without inhibition. In a nutshell, the event was not just successful but remains one that will live in the memories of her guests for a long time to come!